There are many advanced countries in the world that exceptionally good in terms of infrastructure, economy, and facilities. However, being advanced and being an immigration friendly country, both are different things all together. Australia is an incredible country that is not only an advanced economy with tremendous infrastructure, living standard, and quality of life, but also welcomes a huge number of immigrants every year in the country. The working conditions, workplace laws, business friendly Government policies, Quality education for students and ideal environment and amenities for the visitors, etc. make Australia an exceptionally good country for the migrants. 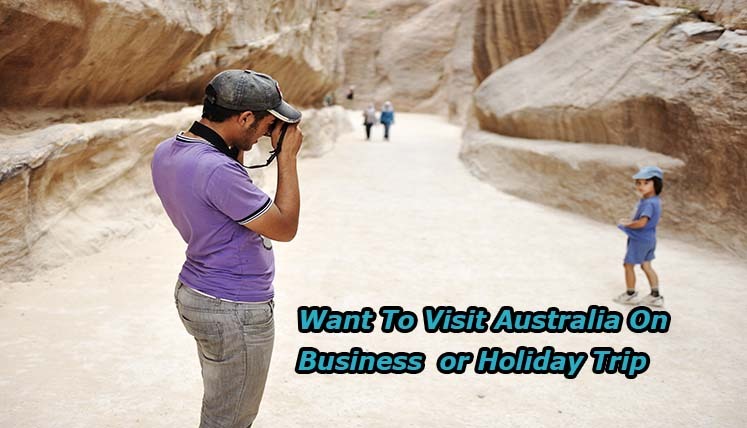 If you also want to visit Australia for business purpose, i.e. survey, market analysis, etc. you would require applying for the relevant visa for the same. The Visitor Visa (subclass 600) would be the most appropriate Visa Category for you. Please find below the key aspects linked with this visa type. This particular visa has been designed to for a normal or business visit in Australia for up to 3, 6 or 12 months. Hence, you can apply for this visa if you want to visit Australia for business purpose, to meet your relatives or to spend holidays. If you want to visit Australia for the business purpose, i.e. negotiation talks, market enquiry, attending a conference, etc., you can opt for the Visitor visa (subclass 600) under Business Visitor Stream. However, you need to be outside Australia at the time of making application as well as on the issuance of this Visa. Business deal, discussion or contract signing or negotiation. How to get the key Assistance to apply for a Visitor visa (subclass 600) in Australia? Well, if you are planning to immigrate to Australia, you need to go through multifaceted immigration procedures and documentation to apply for a Visitor visa (subclass 600). In case, you miss out on any key aspect or procedural guideline, it could lead to a denial of your candidature, which is the last thing you would want, as the visas need to be approved within a limited period of time most of the time.